FTS empowers the management to gain insight on sales team performance on a regional basis. Results are compared to the past year achievements and the current target. 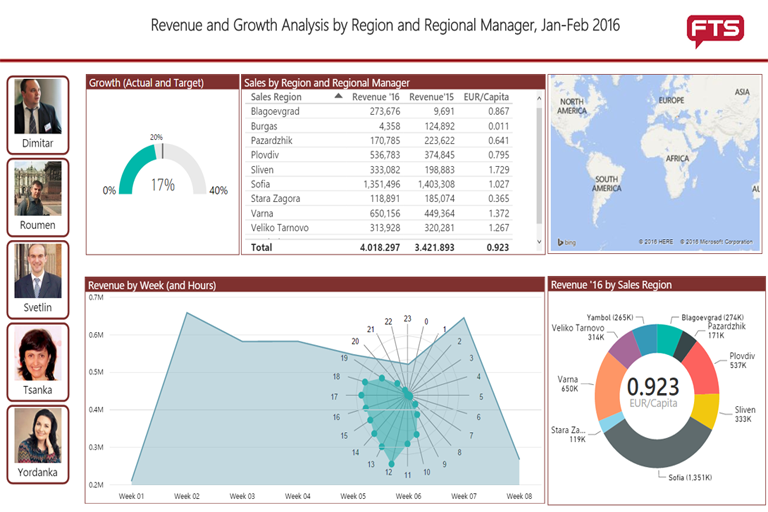 With the regional sales analysis report by FTS retail/trade C-level managers can monitor sales results, trends, and general performance of their teams. 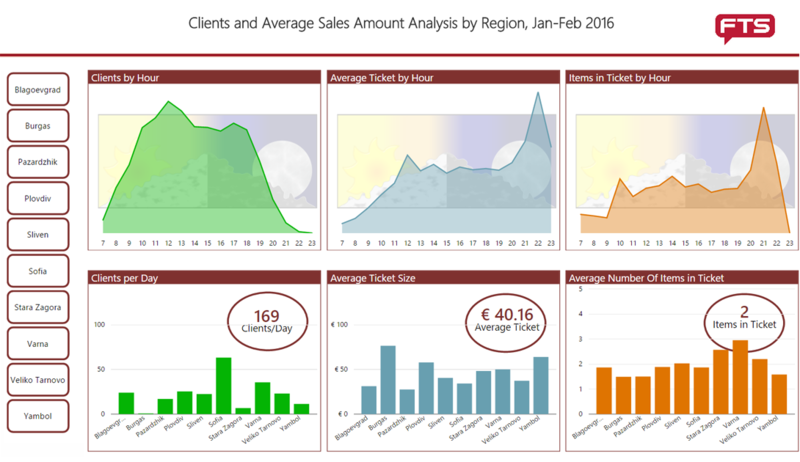 The visual interactive analysis reveals quick insights about the performance of different sales persons/teams/offices. All results are compared to the previous year numbers and the current budget. Revenue and Growth Revenue and revenue growth are the key metrics used by management to assess the overall performance of the organization. It is important to evaluate both the growth for the company as a whole but also for its units like regional offices and regional managers. Retail KPIs How effective is one sales campaign or how successful is the correct product mix is often measured by the average ticket size, the number of items in a basket and the average number of clients per day and/or hour. The regional sales analysis report by FTS will enable you to track the vital retail KPIs both for the whole organization and on a geographical basis.